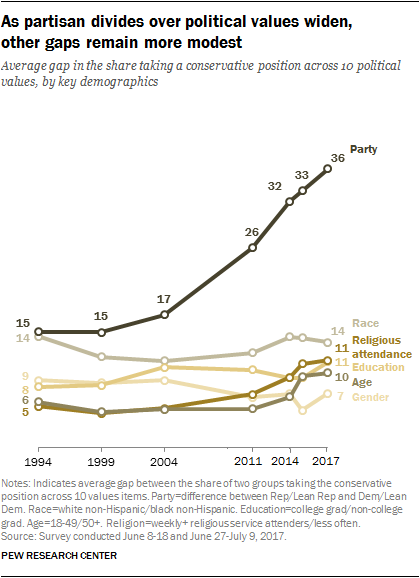 4 Democrats are more likely than Republicans to favor an active global role for the U.S. As recently as three years ago, Republicans and Democrats were equally skeptical about the U.S. taking an active role in world affairs. 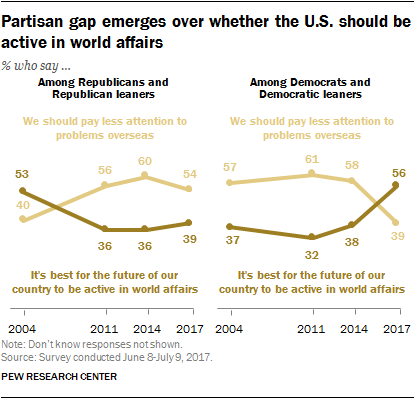 But today, a majority of Democrats (56%) say it’s best for the country’s future to be active globally, up from 38% in 2014. 8 Trump’s job ratings are more polarized than past presidents’. 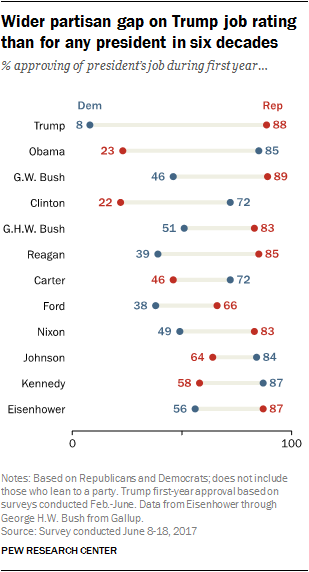 Based on surveys conducted this year (in February, April and June), Donald Trump’s job approval ratings are the most polarized of any first-year president dating back to Dwight D. Eisenhower in 1953.